The controversial ‘Posted Workers Directive’ which was used by employers and contractors to undermine national pay agreements and exploit workers has been amended by the European Parliament. In a recent blog for CTUF, MEP Jude Kirton Darling outlined the changes that were being discussed. A vote on May 29th has now made the changes that were discussed and agreed in the European Parliament. The revised rules revised rules voted by Parliament on May 29th. They were approved by 456 votes to 147, with 49 abstentions. Under the current arrangements employers are not obliged to pay posted workers more than the minimum wage set by the host country, they usually earn less than local workers for the same job. According to the Commission, posted workers can earn up to 50% less in some cases. Loopholes in the current legislation have led as well to an increase of fraudulent practices such as companies existng on paper only or fake sub-contracting, that involve the exploitation of posted workers. In the UK it lead to walkouts and disputes with employers using the directive to import workers and exploit them as cheap labour and paying less than nationally or locally agreed rates of pay provided for under collective agreement. 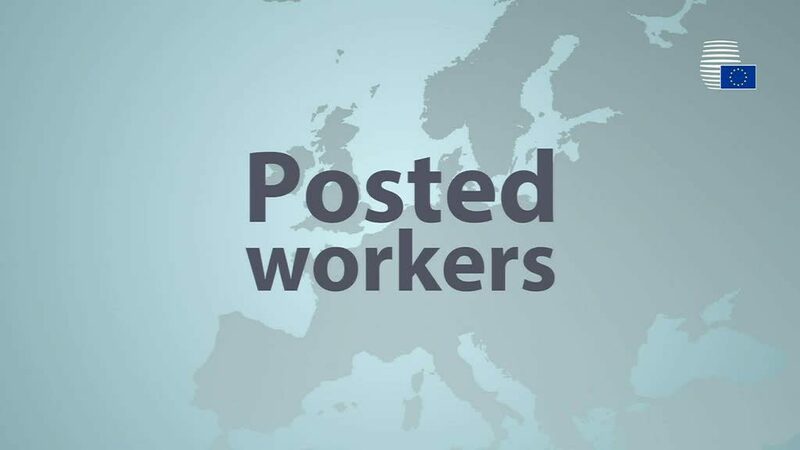 The definition (according to the EU) of a ‘posted worker’ is an employee who is sent by his or her employer to perform a service in another EU member state on a temporary basis. In 2016, there were 2.3 million posted workers in the EU. Posting increased by 69% between 2010 and 2016. Most posted workers (82.3%) get sent to EU countries in Western Europe, with Germany, France and Belgium receiving about 50% of all posted workers. The countries that send out the most posted workers are Poland, Germany and Slovenia. Workers are usually posted in neighbouring countries. Workers ‘posted’ to work on other EU countries will now get equal pay for equal work and will be better protected against exploitation and fraud. In a revision of the Directive a host country’s remuneration rules to apply to all posted workers; a posting can last up to 12 months, with a possible extension of 6 months and the EU says posted workers “will now be better protected against fraud and exploitation”. Under the proposed new rules posted workers are subject to the rules on remuneration in the country they have been set to. This could either be set by law or by certain collective agreements. Employers would have to pay for travel, food and acommodation instead of deducting these costs from workers’ salaries. The maximum posting period would be capped at 12 months, with a possible extension of six months. After that working conditions will be subject to the labour rules of the country they are working in. Co-operation between EU countries to tackle fraud would also be boosted. Ensuring fair pay: Under the agreed text, all of the host country’s remuneration rules must apply to posted workers. In addition to legal provisions, member states may apply large, representative regional or sectoral collective agreements. So far, this has been done only in the construction sector. Improving workers’ conditions: Travel, board and accommodation costs will have to be paid by the employer and not deducted from workers’ salaries. Employers will also have to ensure that the accommodation conditions for posted workers are decent, and in line with national rules. Protection against fraud: In the event of a fraudulent posting, e.g. by a letterbox company, member states should cooperate to ensure that posted workers are protected, at least, by the conditions of the Posting of Workers Directive. International road transport: The new elements of the revised directive will apply to the transport sector once the sector-specific legislation, included in the Mobility Package, enters into force. Until then, the 1996 version of the directive remains applicable. New rules to apply within two years: Member states will have two years to transpose the rules into their national laws, and must put them into effect by the end of this period.